Paladin Music and Entertainment, Inc.
"Medieval Adventure Comes to Western Connecticut!" Jousting! Entertainment! Shows! Merchants! Food! Featuring Paragon Jousting Adventure Theater! Created by Chris Lance and Produced by Paladin Music and Entertainment, Inc. as a charity fund-raiser for St. Gregory the Great Church, the Festival is a family attraction that brings patrons back in time to the Middle Ages. 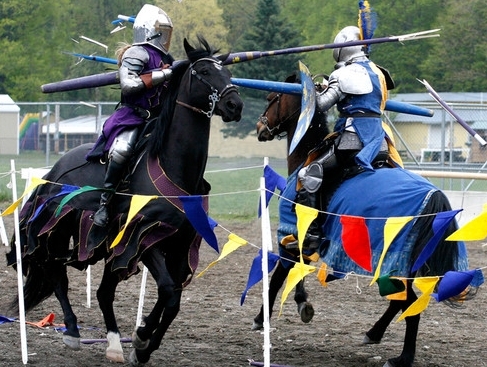 The Festival is host to Jousting, Sword Fighting, Music, Shows, Contests, Games and Activities for Children, Merchants, Food and Drink, and more, not found anywhere in western Connecticut! The Festival is appropriate for all ages and has something for everyone! Story = Fact + Fiction = Adventure! One of the fun things about a Medieval/Renaissance Festival is that a theme usually accompanies it. The Festival Theme is enhanced by actors who perform skits throughout the day. Keep an eye on your Festival Program for time and location within the Realm or visit the Scheduled Program page. This year's theme is a very loose historic account of a particular event in the life of St. Gregory the Great. In our interpretation, the year is approximately 573 A.D. in northern Italy. Gregory, who was born in 543 from one of the last affluent families in Rome, is now a monk living in the monastery of St. Andrew in Rome. Gregory leaves the monastery to go north to preach and raise morale in Milan. This is a city still struggling to recover from the 539 AD invasion by the Ostrogoths during the so-called Gothic War against Byzantine Emperor Justinian I. The Lombards, a Germanic people originally from northern Europe who settled in the Valley of the Danube, had earlier crossed the Alps and invaded Byzantine Italy in 568. The Lombards are now advancing rapidly towards Milan. Gregory's only chance for safety for the city was to obtain help from the Emperor Tiberius at Byzantium. 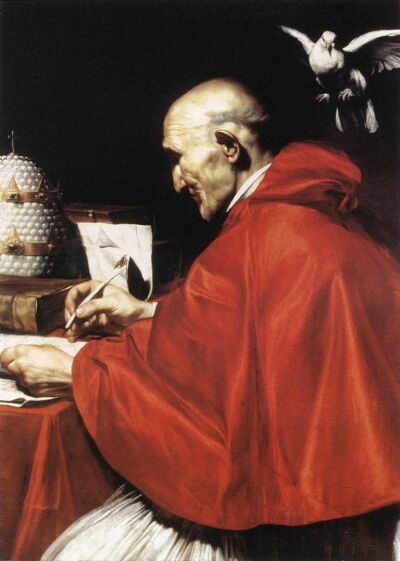 Pope Pelagius appoints Gregory as ambassador to the Court of Byzantium. Check back here often for Festival updates! Special Faire Promotions Only at the Official St. Greg's Medieval Festival MySpace Page! FREE Souvenir Post Card to the 1st 50 Patrons through the Gate each day! Avoid the Wait! Get yout tickets On-Line! Mark Your Calendars For Years Of Fun! The St. Gregory Medieval Festival and Western Connecticut Renaissance Faire is a trademark and production of Paladin Music & Entertainment, Inc. Copyright 2008. All rights reserved. Festival terms and conditions subject to change without notice. The Festival is a fund-raiser. 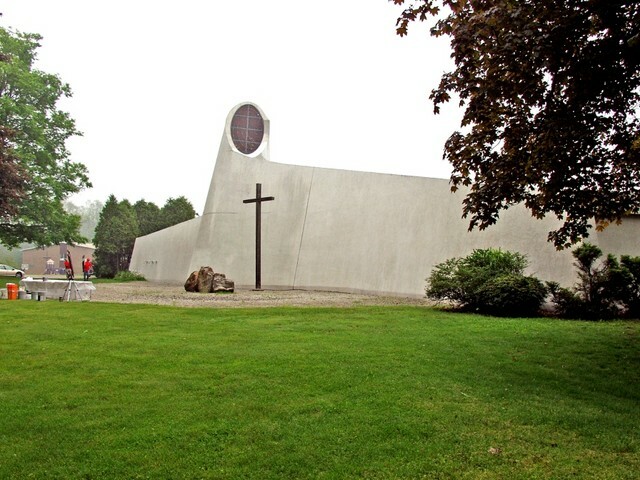 Portion of the Festival's Proceeds go to St. Gregory's Church.